On this page you will find not only sketchbooks available to purchase from myself (coming soon), but from other artists in the industry. Beyond my involvement in the comics world, I also do some short run printing out of my studio and I offer this service to my fellow artists. If you're an artist, and interested in having your own sketchbook designed and printed as well, just drop me a line, I'd be happy to chat with you. 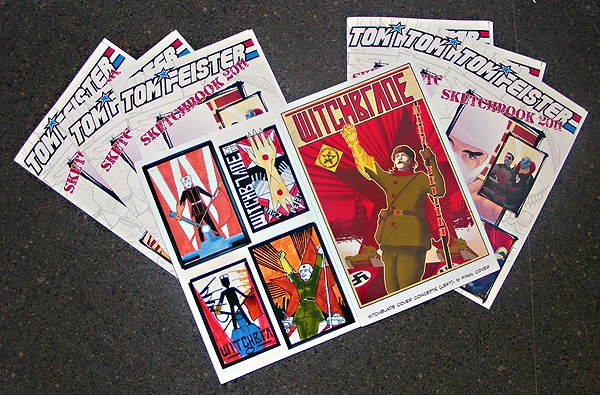 This 24 page (including cover) full color sketchbook showcases some of the work Tom has done over the last year. Included are prelims, unused concept sketches, step by step cover processes and examples of some finished covers, all with brief descriptions of the work featured. 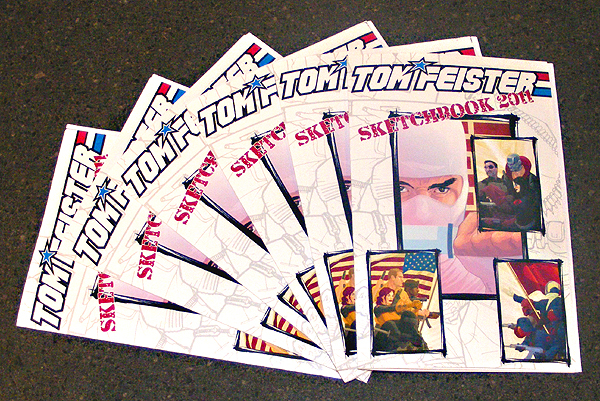 The inside front cover is left blank for a sketch from Tom. Bring it to convention he's attending and get a free head sketch!